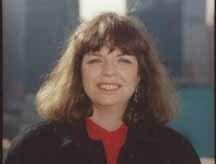 Terry Solowey has a wide range of expertise in early childhood/elementary education and children’s media. She is a writer and developer of print and multimedia programs with a focus on outreach, curriculum and content development. As Assistant Director of the Sesame Street PEP (Preschool Educational Program), she coordinated national training and staff development to teach childcare professionals how to use “Sesame Street”, storybooks and related activities as educational tools. As Manager of Outreach for Thirteen/WNET, she launched “The Ready to Learn Service” and coordinated local efforts in New York and New Jersey as one of ten initial PBS pilot sites. Ms. Solowey was Program Director for Kids First! – The Coalition for Quality Children’s Media in Santa Fe, NM, where she managed a national jury for review and evaluation of children’s videos, DVDs and CD-ROM programs. She also served as East Coast Outreach Director for KIDS FIRST! National Neighborhood Film Festivals, where she presented critical viewing workshops and moderated junior film critic panels. She is currently an Advisory Board Member working with KIDS FIRST! Film Critics Program. She has consulted on various television, video and film projects including Nick Jr’s. “Dora the Explorer”. As a Developer and Writer for print and multimedia projects, she has worked with Random House and “Cat in the Hat”, PBS, Cable in the Classroom, Early Childhood Today, Nick Jr. Family Magazine, Creative Classroom Magazine, Time for Kids-Big Picture Edition, National Geographic, Creative Wonders, Carrot New York (formerly JMH Education Marketing) and the New York State Council on Children and Families – Head Start Collaborative. Terry served as Early Learning and Literacy Specialist with Booz Allen Hamilton providing technical assistance in support of the Administration for Children and Families and Region II Head Start programs in New York, New Jersey, Puerto Rico and The Virgin Islands. She most recently taught as an Adjunct Lecturer in the Department of Curriculum and Teaching at Hunter College and The Elias Howe School – P.S. 51 in Manhattan and served as a facilitator at MoMA’s Art Lab. She is currently developing outreach materials for HITN/ELC (Hispanic Information and Telecommunications Network/Early Learning Collaborative). Throughout her career she has been an effective Keynote Speaker and workshop leader at national and regional conferences including the National Association for the Education of Young Children, Western Regional Conference of the Professional Family Child Care Association and Head Start Conferences. Terry began her career teaching in Head Start and childcare programs in New York City. She holds a M.S. in Education and a B.A. in Psychology from The City College of New York. Her professional affiliations include National Association for the Education of Young Children (NAEYC), National Association for Media Literacy Education (NAMLE), The Society of Children’s Book Writers and Illustrators (SCBWI), and Children’s Media Association (CMA).